The world’s top rider and horsepower will be on show at the premier of the GC Playoffs in Prague in a pre-Christmas bonanza for show jumping fans worldwide and here is the lowdown on the order of play for the spectacular LGCT Super Grand Prix and GCL Super Cup competitions. Spectacular entertainment and sound and lights shows will add to the razzamatazz of the event and the champion riders taking part will be presented to fans in special shows. The 8 top teams from the quarter final will live to fight another day in the high pressure GC Playoffs. They go straight into the semi final on Friday night under the dramatic lights of the O2 along with the top four teams from the regular season: London Knights, Valkenswaard United, Miami Celtics and Rome Gladiators. Pressure will be at fever pitch as the victorious 6 teams from the qualifying stages go into combat in the GCL Super Cup Final on Sunday afternoon rounding off a scintillating weekend of sport and entertainment. Who will be lift the GCL Super Cup trophy and win the lion’s share of the €6.4m Final’s prize money? Some of the world’s top horsepower will be on show at the GC Playoffs in Prague in a pre-Christmas bonanza for show jumping fans worldwide. Speculation is rife in the show jumping world about which rider and horse combinations the 16 qualified GCL teams will field. 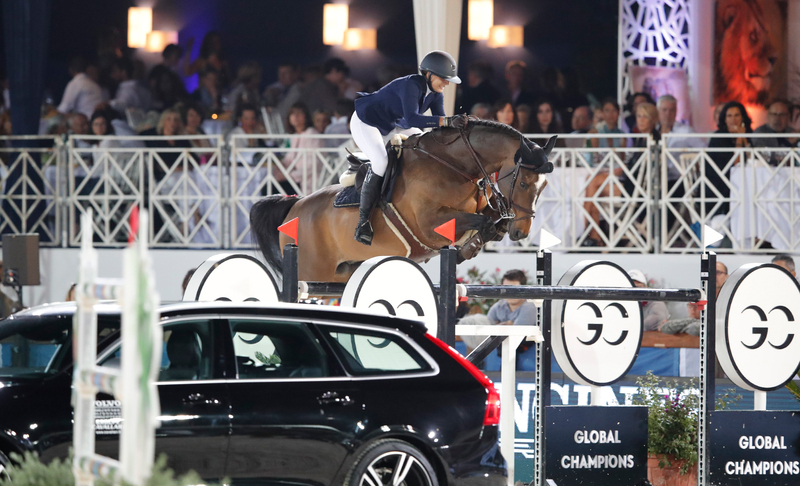 Ben Maher has revealed he is planning to ride his superstar stallion Explosion W, one of the best performing horses on the LGCT and GCL circuit in 2018, at the spectacular new Playoffs event over four days in the Czech capital.